Dead Strange: The Bizarre Truths Behind 50 World-Famous Mysteries by Matt Lamy. Review: The world is filled with awe-inspiring mysteries that are easily explained, but it is also filled with mysteries that boggle the mind. Mysteries such as zombies, the supernatural, unsolved crimes, strange creatures, and even disappearing continents are baffling. 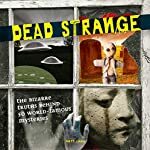 But, Matt Lamy brings his readers closer to uncovering the truth in fifty of the most interesting and famous mysteries in his book Dead Strange: The Bizarre Truths Behind 50 World-Famous Mysteries. Lamy's success with Dead Strange begins with his choice of mysteries. 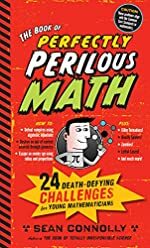 Not only does it include exciting topics for today's teens (zombies and vampires), but the topics are also interesting to adult readers as well. The more common mysteries such as Stonehenge are addressed, but he also includes scary topics (poltergeist and serial killers) as well as religious mysteries (Noah's Ark and the Ark of the Covenant) plus countless other strange mysteries that will interest and excite any reader. Each mystery begins with a brief explanation highlighting the important aspects of the mystery which is followed by a more elaborate explanation of the history behind the mystery along with current research and investigations that hope to bring closure to these age-old mysteries. Also included is at least one illustration or photo to further enhance the article. Finally, there is a call-out section for each article that looks a little closer at one particular aspect of the mystery as it relates to pop culture or history. A book that is as well organized and researched as Dead Strange has many functionalities for today's readers. 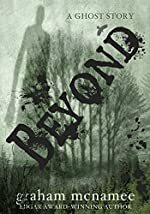 On one level, it is a fascinating look into strange mysteries that are written in such a way that makes reading non-fiction "fun". But, it is also a valuable research tool. Oftentimes students are asked to research an unsolved mystery. Dead Strange should be the first-stop! Not only does it provide an extensive list of mysteries, but it also gives a valuable springboard for further research. For that reason, it is critical for every librarian to keep a copy on the shelf. Readers can't go wrong with Dead Strange. We would like to thank Houghton Mifflin Harcourt for providing a copy of Dead Strange: The Bizarre Truths Behind 50 World-Famous Mysteries for this review. Have you read Dead Strange: The Bizarre Truths Behind 50 World-Famous Mysteries? How would you rate it? 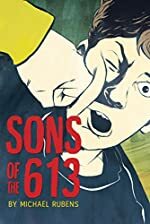 Review: Sons of the 613 is written by Michael Rubens. Michael Rubens was a producer for an award-winning television show. Rubens' first adult novel was published last year. This is his first youth novel. The two main characters are Josh and his younger brother Isaac. Josh is an undefeated wrestler that has been in college and recently dropped out to pursue a different path. Josh has moved back into his parent's home with the rest of his family, Isaac and Lisa. Isaac is turning thirteen and is going to have his bar mitzvah which is a celebration when a boy becomes a man in the Jewish faith. Isaacs's older brother Josh has a different idea. Before Isaac can make his bar mitzvah, Josh develops his own Quest for his little brother to complete. If Isaac can complete the Quest he will be a man in his brother's eyes. The whole family is home, including Josh who is home from college. Isaac is preparing for his bar mitzvah which is in three weeks. Isaac has been keeping a secret about his bar mitzvah though. The tutor that is supposed to help him hasn't been showing up for the class times. Isaacs's parents are going to Italy, and he is worried because he still has so much to learn for his bar mitzvah. 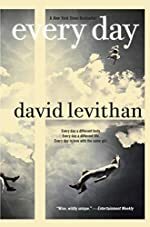 When Isaac's parents leave Josh in charge, Josh sees that his brother is worried about his bar mitzvah and decides he will help. He helps Isaac become a man in the Jewish faith and in his own eyes. To make Isaac a man in his eyes, Josh puts him through a Quest that only an older brother can conjure up. Josh wakes him up early everyday and decides whether it should be a physical or mental day. Each day Josh has a different challenge he tells Isaac about. If Isaac can complete the challenge Josh will finally see him as a man. Can he complete the tests? If he can, is he going to finish them in time? And why did Josh put Isaac through the bone rattling Quest in the first place? I really liked Sons of the 613. However, the book started out slowly. After a couple of chapters, however, it started to pull me back in. I enjoyed learning about the Jewish faith because it taught me to stay close to my family. I liked the detail that Michael Rubens put into the book as well. I especially liked the characters because Rubens put so much thought into their backgrounds. I wish that Rubens was able to get to the Quest in the book sooner though, and then I would have been more eager to complete the book in the beginning. Overall, I really enjoyed Sons of the 613.
Review written by Michael (7th grade student). We would like to thank Houghton Mifflin Harcourt for providing a copy of Sons of the 613 for this review. 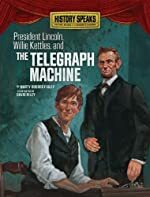 President Lincoln, Willie Kettles, and The Telegraph Machine by Marty Rhodes Figley. A History Speaks Picture Books plus Reader's Theatre Book. Review: Being a telegrapher during the Civil War and meeting President Abraham Lincoln would be absolutely fascinating. But to receive a message from the army that is very important to everyone is even more amazing. Well that's what happens to Willie Kettles in President Lincoln, Willie Kettles and the Telegraph Machine written by Marty Rhodes Figly and illustrated by David Riley. First Willie goes to work for what seems like a normal day, but then he receives a message from Richmond. This is strange because it has been over four years since they last received a message from Richmond. Will this be the message that brings hope? Willie Kettles soon learns that even someone with a seemingly unimportant job can do something to change the course of history. I rate this book a five out of five because it is a great read and very interesting. I enjoyed that it was a story about something in U.S history. The illustrations are amazing and they, along with everything that was going on in the story, keep readers interested throughout the book. Another reason I rated it five out of five is that in the back, there is a script along with instructions for putting on a reader's theater performance that goes with the story. I really enjoyed this book and that is why I rated it a five out of five. We would like to thank Renier Fee for providing a copy of President Lincoln, Willie Kettles, and The Telegraph Machine for this review. Have you read President Lincoln, Willie Kettles, and The Telegraph Machine? How would you rate it? Summer of the Wolves by Polly Carlson-Voiles. Review: The small, petite earth colored pup wakes up every morning to its helpful mom pup for its first meal of the day. The little pup's future life though will never be the same as it must adapt to peculiar ways of humans when it is taken to the special facility for wolves. Summer of the Wolves by Polly Carson-Voiles is an awe-inspiring book. 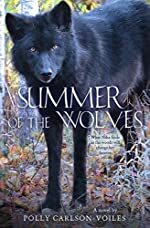 Summer of the Wolves begins with the back story of Nika and her little brother Randall and their life with their foster mom. The storyline continues to unfold every turn of the page. It is a great wolf book filled with love, sadness and of course "family" that becomes a "real" family. Nika and Randall have lived their lives with their foster mom Meg until one day she finds out she has something wrong with her body. Nika and Randall must stay with their long lost uncle, Ian, who is a wolf researcher. They all say their goodbyes to Meg and leave to go Minnesota to live with their uncle. After getting settled, Ian takes Randall to a boy's house down to street while Nika stays with Pearl, the town's "grandma." When Nika and Ian go to find a pack of wolves to research, they discover a dead pack with the mother shot and only one pup living. They bring in the pup and help it live. It's only a couple of weeks old. In fact, its eyes and ears haven't opened. They decide to call the pup Khan. Through the weeks of taking care of the pup, its ears open as well as its eyes. Unfortunately for Khan, he can't go back into the wild and is now a captive. While taking care of the pup, Nika becomes attached to it only wanting the pup to be Ian and hers. However, the pup eventually becomes too big for them and is needed to be in a bigger place. The decisions Nike and Ian make result in danger, adventure, and ultimately happiness as they find a way for people to be with the wolves. Summer of the Wolves is filled with everything a reader would want. It is a great story, with awesome characters and a concept and words that bring the story to life. It is a book that deserves five out of five stars. Summer of the Wolves gives information about wolves, but not enough to bore someone like a non-fiction book might. Carlson-Voiles wrote an interesting book for kids in middle school. It tells a life story of foster kids and the story of a pup and how it lives its life. I don't very often read books, but I'm glad I read this book. It kept me going on my vacation whenever I was bored, and it gave me something to do that was very fun. Summer of the Wolves is one of my favorite books, and I will read it when I have nothing to read. I could never set this book down and would read five chapters at a time. It'll keep you reading and you will never find a boring part in the story. We would like to thank Houghton Mifflin Harcourt for providing a copy of Summer of the Wolves for this review. Have you read Summer of the Wolves? How would you rate it?